Simon Holloway has sent several photos from the lives of Wilfred and Evelyn Chapple of Walnut Tree Road, Brentford. 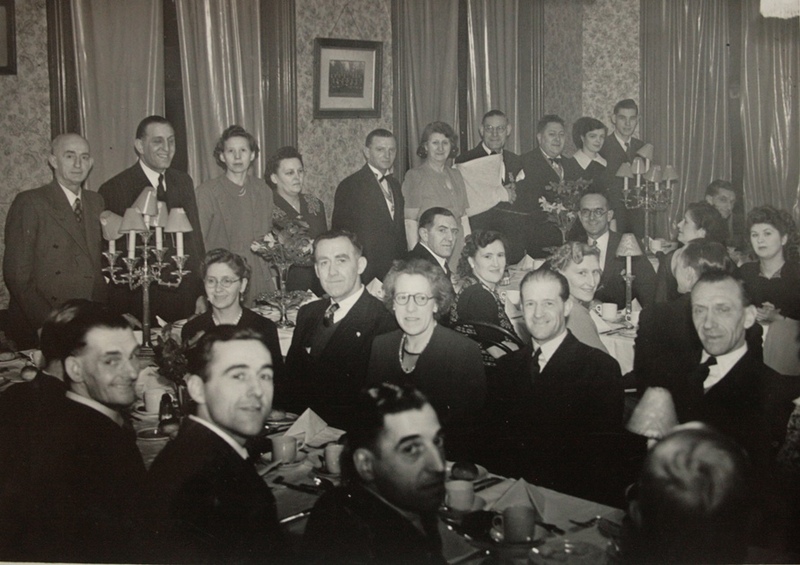 This photo was taken at a meeting of Buffalo Lodge 53 at The Bull PH, Brentford in 1951 and includes Wilfred and Evelyn. If you can add any names please get in touch. Rick Heath (December 2014): the couple (left of centre: elaborate candelabra of lamps, the lady, a floral display on a table behind, then her husband) are my grandparents. Richard & Alice Rowe. Richard Rowe was a policeman in Brentford.